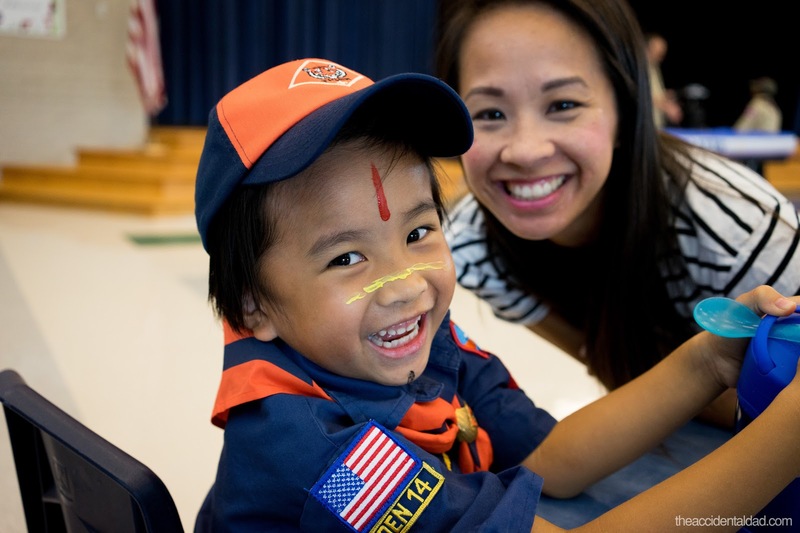 This past weekend Tyson attended his first Cub Scouts pack meeting where he got his first badge! Also at this meeting was the Raingutter Regatta, where each scout would race their boat, i.e. race the boat their parent(s) built. It was a double elimination tournament and each bracket was separated by age group (Tiger, Wolf, Bear, Webelos). With his awesome boat and the power of his lungs, Tyson won all of his races and placed first for his group (Tigers)! 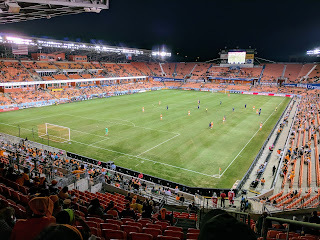 The Houston Dynamo only have a couple home games left and are fighting for a playoff spot so the boys' soccer club came out to support the home team. Elliot probably had the most fun, going up and down the steps and through the row of seats (it was fairly empty). Andrew was MIA since he wanted to sit with his friends on the team. The drawback was that it was on a school night (Wednesday) so we had to leave early and guess who got ultra sad/mad. Jacob (again). We should've known better... with him, you gotta stay to the very end. One day after school, Tyson takes out a crumpled piece of paper that was tucked away in his shoe and said that he wanted to do this. 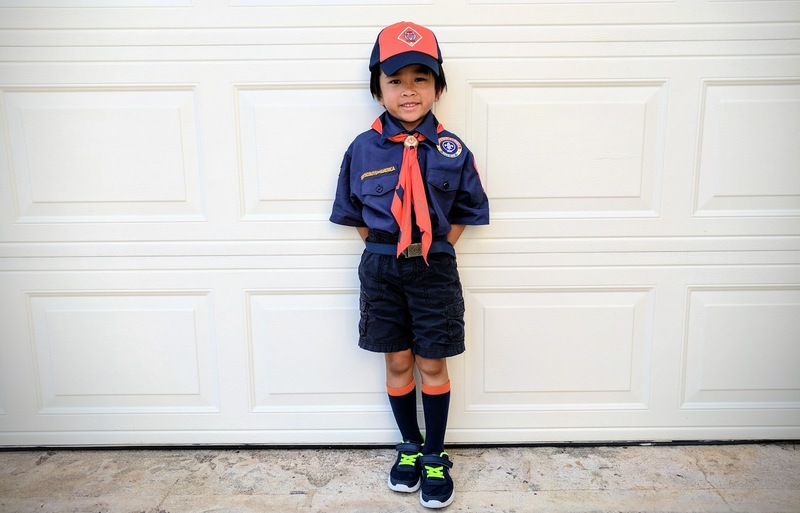 This was the cub scouts. Apparently a recruiter spoke to all the kids at school and made a huge impression on Tyson since he kept asking to join. 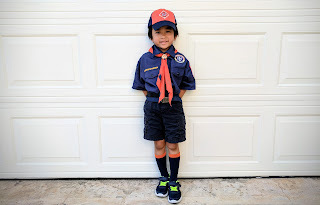 I've never had any intention of putting the boys in cub/boy scouts. I've always associated the group with pedophilia. 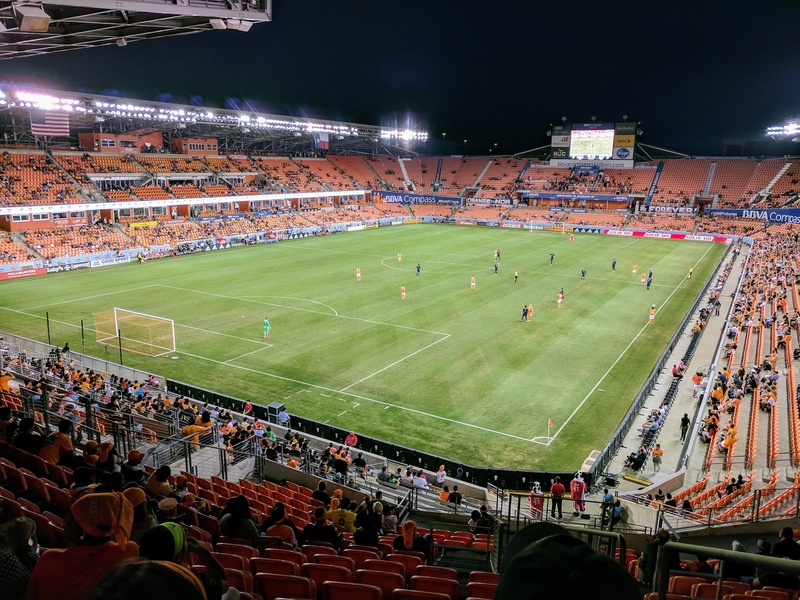 Why else would grown men want to hang out with young boys? Call me stupid but that's how I felt. Andrew and Tyson are superstars... Marlin superstars. In previous years at their school, they had "student of the month" which was only one boy and one girl chosen from each class. 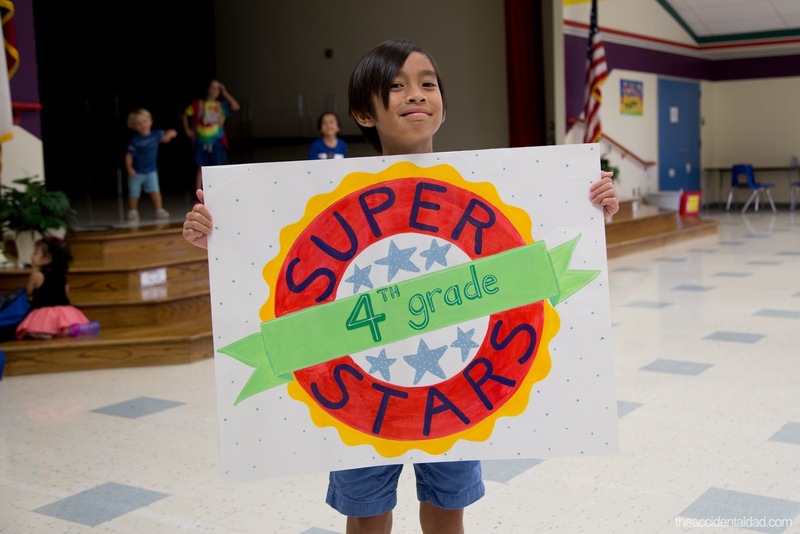 But this year with a new principal, they now have "superstars" which are 2-3 students selected from each class. In my opinion, that dilutes it... doesn't seem as special. Nonetheless, the two boys were part of the September superstars.